The Hannah Arendt Center for Politics and Humanities at Bard College asked me to do a "Quote of the Week" guest blog post, and I was happy to do so, and chose a quote from her collected Jewish Writings, from a 1944 essay entitled, "The Jew as Pariah". In that essay, she discusses three Jewish writers, Franz Kafka, Bernard Lazare, and Heinrich Heine, and one very prominent non-Jew, Charlie Chaplin. "While lack of political sense and persistence in the obsolete system of making charity the basis of national unity have prevented the Jewish people from taking a positive part in the political life of our day, these very qualities, translated into dramatic forms, have inspired one of the most singular products of modern art—the films of Charlie Chaplin. In Chaplin the most unpopular people in the world inspired what was long the most popular of contemporary figures—not because he was a modern Merry Andrew, but because he represented the revival of a quality long thought to have been killed by a century of class conflict, namely, the entrancing charm of the little people." The image of Charlie Chaplin's signature character, the Little Tramp, is an icon recognized throughout the world, one that remains powerful where those of his contemporaries, for example his partners in United Artists, Mary Pickford and Douglas Fairbanks, Sr., have faded from popular consciousness. Moreover, Chaplin is widely recognized for his comedic brilliance, and beyond that, for his artistic genius as an actor, director and composer. Largely forgotten within the public mind, however, is the close association between Chaplin and Jewish identity, regarding both the actor and the character he portrayed. But to early 20th century audiences in the United States and Europe, Jewish and non-Jewish alike, the Little Tramp was recognized as a Jewish character type, a popular culture stereotype with origins in the 19th century, a by-product of the Industrial Revolution and (dare I say it?) modern times. Regarding himself, Chaplin never corrected misconceptions about his gentile ancestry, saying that to do so would "play directly into the hands of anti-Semites," while also taking pride in the fact that one of his great grandmothers was a Romani (aka Gypsy), and more generally he was outspoken in defense of all of the little people, the lower classes, the poor and the downtrodden. On the big screen, he was the Little Tramp, but in real life, as a human person and a champion of the humane and the humanistic, he was a giant. This famous poem is "The New Colossus," written by Emma Lazarus in 1883, as part of a campaign to raise money to build a pedestal for the Statue of Liberty, and later added to the site of the monument (with the effect of permanently changing the meaning of the monument from its original intent as a political statement). Lazarus, a poetic protégé of Ralph Waldo Emerson, had awakened from her comfortable middle class youth to a profound social consciousness as she watched the influx of European immigrants to the twin cities of New York and Brooklyn, and in particular was moved by the arrival of vast numbers of European Jews seeking to escape the persecution and pogroms that accompanied their pariah status, becoming a proto-Zionist in her own right. Arendt may well have viewed Lazarus as idealistic, perhaps even politically naïve, but of course it was in the United States that Arendt found a safe haven from Nazi persecution, and it was here that she made her home, just as it was the nation that welcomed Charlie Chaplin as an English immigrant, where he found opportunity for advancement and success, becoming a Hollywood star and also an entrepreneur, as a partner in the founding of the United Artists film company. This is not to deny the fact that Chaplin was also a victim of McCarthyism, finding himself exiled from the United States in 1952 on account of his politics, and settled in Switzerland, nor is it meant to discount the fact that Arendt was one of the lucky few to be permitted entry, whereas the vast majority of European Jews seeking to escape the Holocaust were not allowed to emigrate to the US. And there certainly is no denying the multitude of social ills that have existed and persisted in American society. But I would say that it is here in the United States that pariahs have come to find parity, and I would go so far as to say that this nation is truly exceptional in that regard. But parity does not come easy. As Arendt describes the environment that the Little Tramp inhabits, "Chaplin's world is of the earth, grotesquely caricatured if you will, but nevertheless hard and real. It is a world from which neither nature nor art can provide escape and against whose slings and arrows the only armor is one's own wits or the kindness and humanity of causal acquaintances." But it is a world where the little people can outwit their opponents, where strangers can become friends, and outcasts can find love. Authority figures are intimidating, and need to be avoided, but at the same time Chaplin conveys, as Arendt puts it, "the time-honored Jewish truth that, other things being equal, the human ingenuity of a David can sometimes outmatch the animal strength of a Goliath." And in the American audience, Chaplin found that even Goliath's own people would root for David to beat the odds and overcome his more powerful opponent, because, as the saying goes, Americans love the underdog. The rejection of British sovereignty and the embrace of the principles of democracy and equality resulted in an American culture that is fundamentally anti-elitist, and sympathetic to outsiders, outcasts, and outlaws. Arendt characterizes Chaplin's variation on the Jew as pariah character type as the suspect, meaning that he is always under suspicion, always presumed guilty by the authorities unless (and maybe even if) proven innocent. The presumption of guilt may well lead to the suspect being accused, arrested, convicted, and/or punished for crimes never committed. And even for authority figures who are willing to concede the possibility of error, we hear the rejoinder that this suspect must be guilty of something, even if it is not the particular crime in question. The stigma of collective guilt being assigned to the other, of scapegoating, is a familiar one, as is the experience of prejudice and profiling, as the role of pariah as suspect has been played by many people, by many peoples, over the years. But across all of its manifestations, the pattern remains more or less the same. At times, however, it may expand into a paranoid strain of existence. Under extreme conditions, the police or military will consider all civilians to be suspect, and those in authority will consider all of their subordinates to be suspect. Under authoritarian systems, a culture of suspicion is established from the very top on down, and with the advent of the totalitarianism that Arendt so incisively analyzed, this culture of suspicion permeates every sector of society. Arendt notes that whether guilty or innocent, for the suspect, the punishment is not commensurate with the crime, that the severity has more to do with the individual's social status than with the nature of the wrongdoing (and again, we are all too familiar with the social, economic, and racial divides that characterize prison populations). The fundamental injustice of society is demonstrated by this lack of proportion, and all the more so by the punishment of pariahs who are innocent of the crime in question, and perhaps innocent altogether. But this lack of justice cuts both ways, as the outcast is able to get away with breaking the law and flouting authority in situations where more established members of society cannot. The result is an odd, and for Chaplin often comic combination of fear, and impudence. This coupling of nervousness and nerve, according to Arendt, "is a worried, careworn impudence—the kind so familiar to generations of Jews, the effrontery of the poor 'little Yid' who does not recognize the class order of the world because he sees in it neither order nor justice for himself." Writing in the dark times of the Second World War, Arendt ends her consideration of Chaplin on a pessimistic note, reflecting on the waning popularity of Chaplin's motion pictures, and especially the failure of his 1940 film, The Great Dictator, to achieve popular appeal and influence public opinion regarding the war in Europe. She pointed to economics and politics as the reason why Chaplin fell out of favor, but Arendt might have been better served by reflecting on the fact that Chaplin's success was based on the medium of the silent film, and arguably peaked with the release of The Gold Rush in 1925. The introduction of the talkies in 1927, with Al Jolson's cantorial performance in The Jazz Singer, made Chaplin's style of comedy obsolescent, and his resistance to the new medium, while commendable in regard to artistic integrity, defied the wildly popular fascination with the human voice. Chaplin's talent was such that he was capable of making the transition to the new format while maintaining the integrity of his Little Tramp character, as can be seen in his masterly work on his 1936 motion picture, Modern Times, which incorporates the speech of other characters, often heard remotely through speakers, and which ends with Chaplin himself singing a song comprised of nonsensical lyrics, thereby maintain his nonverbal presence. The problem with The Great Dictator, where Chaplin plays a dual role as a parodic version of Hitler and a persecuted Jewish barber, is not that Chaplin speaks, or that he addresses the audience directly at the end of the film, but that he breaks the comedic frame of the film and preaches to the audience. 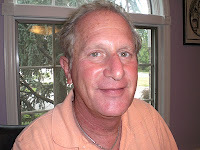 However well intentioned his motives, however eloquent his speech, however much the audience may have agreed with his sentiment, his attempt to underline and drive home the implicit message of the film disrupted the medium of comedy, and undermined the effectiveness of the satire, a weapon far more potent than any direct, persuasive message could be. The audience did not turn away out of a lack of sympathy for the little people. Rather, it was Chaplin, in stepping out of his role as the Little Tramp, who abandoned his audience. 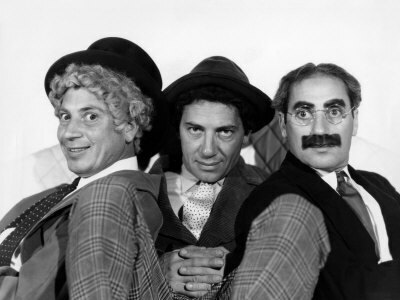 Chaplin's decline might be contrasted to the rise of another variation on the Jew as pariah in American film comedy, that of the Marx Brothers. Harpo specifically portrayed a silent, Chaplinesque character, while Chico captured the stumbling, comic malapropisms of non-native, immigrant speech. But it was Groucho who introduced a new form of wit and fast-talking, linguistic dexterity, filled with puns, Yiddishisms, and a kind of brash impudence that reflected a newfound confidence and integration into society on the part of the pariah, from outcast now to working class, and later on to the insecure middle class neuroses of Woody Allen, and more recently perhaps to the defiant posture of Adam Sandler. The fulfillment of the Zionist dream in 1948 signaled an end to exile for the Jewish people, but it might be argued that, for some within in the community of nations, pariah status was transferred to the State of Israel. In the United States, and elsewhere in the western world, the specific image of the Jew as pariah has become less and less familiar. And more generally, if we have not fully eliminated the status of pariah, of outcast, of the other from our culture, we certainly have witnessed enormous progress in social justice for all over the past half century, and have surely come closer to achieving that goal than ever before. If we still fall short of the ideals expressed by Emma Lazarus, the Mother of Exiles continues to hold her lamp up high to shed light against dark times. And in light of the waning of the pariah as a character type, is Charlie Chaplin and the Little Tramp destined gradually to decline in popular relevance and fade from collective memory, fulfilling Arendt's pessimistic conclusion in 1944 that the little people now wanted a Superman character to identify with? I believe that she would be pleased with the alternative that I would like to suggest, that the comedy of the pariah represents what Joseph Meeker called the comedy of survival, a narrative in which the little person as protagonist seeks merely to get by in a hostile environment, to stay out of trouble, and hopefully achieve balance and harmony with one's surroundings. The comedic hero does not try to master or control the environment, for that would represent hubris, and ultimately result in tragedy, in bringing about one's own doom. According to Meeker, tragedy as a narrative form is peculiar to western cultures, and I would add, invoking the media ecology of Marshall McLuhan, that it is closely associated with the literate mindset, one that favors individualism, and the separation of self from other and from the environment, and the expansion of the individual ego. In contrast, comedy, as a narrative mode, is common to all cultures, and from a media ecology perspective is associated with preliterate oral culture, and postliterate electronic culture. In the comedic mode, what we see is an exercise in humility, in knowing your limitations and living within them. In other words, comedy reflects an ecological ethic, and more than that, an ecological mindset, one that is very much in keeping with the ecological concern of our electronic age, both in the environmentalist sense, but also more generally in the growing adoption of a systems view of the world. The ecological values of balance, harmony, and survival are values that Arendt would recognize as embodied by Charlie Chaplin's variation on the Jew as pariah. The Little Tramp with his "entrancing charm of the little people," may yet serve as an icon of New Age consciousness, post-civilization lifestyle, and a new, sustainable way of life. The film could be no longer than three minutes, contain only 6 lines of narrative and be a compelling story. The winner was "Porcelain Unicorn" from American director Keegan Wilcox. Ridley Scott announced Porcelain Unicorn from American director Keegan Wilcox as the winning short film in Philips’ Tell It Your Way film-making contest. Directed by Keegan Wilcox, it is a sensitive and moving tale of how a traumatic wartime encounter inspires a man in later life. Wilson cites his grandfather’s war stories as inspiration for the short, and the ‘hero’s journey’ of a Joseph Conrad novel. Following a round of public voting on YouTube to select the top five, the overall winning film, Porcelain Unicorn, was chosen by Sir Ridley Scott. Ridley Scott, known for directing movies like “Blade Runner” and “Gladiator,” has chosen the winner of a contest to create short films that was sponsored by Philips. Mr. Scott picked a film called “Porcelain Unicorn” as the winner of the Tell It Your Way contest. The name, echoing the long-time Burger King slogan, “Have it your way,” underlines the nature of the contest, which is in the genre known as consumer-generated or user-generated content. “Porcelain Unicorn,” which can be watched on YouTube, was the brainchild of an American director, Keegan Wilcox. Mr. Wilcox, a producer and director at ELA Advertising in California, wins prizes that include a week working at Ridley Scott Associates and the promotion of his short by Philips in venues that include a section of the Philips Web site. Mr. Scott selected the short from among more than 600 entries in the contest, which was inspired by online commercials for Philips, under the title “Parallel Lines,” created by the London office of DDB Worldwide, part of the Omnicom Group. Truly an award well deserved, and one that resonates with the story told via song in our previous post from last month, Mademoiselle. Art, in so many different ways, has such power to perform the great mitzvah of memory. The President of the United States revealed that his older daughter is attending bar/bat mitzvah ceremonies seemingly every week, and that discussions were being held in the Obama family about the appropriate attire for synagogue and how late to stay out at the parties. Only in America! And only in America would the President pepper his speech with the Hebrew phrase tikkun olam, well aware that this phrase, meaning repair the world, is used to signify our commitment to social justice. The President also spoke of the weekly Torah portion and referenced the crucial phrase hineni, here I am, which is used repeatedly in the Torah when a person steps forward to accept a responsibility. After a remarkably warm and personal introduction the President continued, as expected, with a spirited defense of his accomplishments, and sounded some of the themes of his re-election campaign. He proclaimed several times that America’s commitment to Israel is “unshakable.” The President opined that military and economic cooperation between the United Sates and Israel is the closest it has ever been. One could not help feeling very proud to be an American Reform Jew at this gathering. Yet while we should derive justifiable satisfaction at what we have accomplished, we do well to heed the words of the Talmud that the President also cited: “You are not required to complete the work, but neither are you free to desist from it.” Our challenges are many and it is up to us to say, Here I am. Although I was not in attendance, leaders of Reform congregations gathered together at the Union for Reform Judaism’s Biennial convention in Washington D.C. last month and returned home feeling energized, and determined to meet the challenge set by the movement’s leadership: to double synagogue participation by high school seniors by the end of the decade. Our own Rabbi Schwartz attended the biennial, as did President Obama who spoke at the convention [see our previous post, Obama at the URJ]. With more than 6,000 attendees, this Biennial was the largest ever, the first to be sold out, and one of the largest indoor gatherings of American Jews ever. With its new “Campaign for Youth Engagement”, the URJ is focusing on the statistic that “80 percent of the children who become b’nei mitzvah will have no connections of any kind to their Jewish community by the time they reach 12h grade”. The goal of the campaign is that by 2020, we increase the number of young people who will stay involved throughout high school from 20 percent to 50 percent. The youth engagement campaign is about helping congregations ask intentional, challenging questions about themselves, about whether everything is as excellent as it can be. As President of Adas Emuno, I have the responsibility of asking these questions of you, specifically: Is everything as excellent as it can be? More concrete questions are: What can we do to make it better (whether we focus only on the Campaign for Youth Engagement or something additional that we can help with)? Do we, as just one small congregation that is a member of the Union for Reform Judaism, have to take responsibility for this grim statistic or do we, as parents, grandparents, extended family and/or friends of our 13-18 year olds who are the focus of this statistic, have to take some responsibility as well? Do you have your own Jewish traditions such as Shabbat dinner, weekly candlelighting, Friday night challah (and having your kids look forward to having “daddy’ s french toast made with the leftovers on Sunday morning)? Do your children attend Jewish-based pre-schools, Jewish-themed day and sleep-away camps? Do they become involved, along with yourselves, with Jewish-based causes and social justice, celebrations of any and all Jewish holidays? Do we go out of our way to have our “at risk” youth continue to connect with the Jewish counterparts that they have met along the way? As Rabbi Schwartz asked us at the High Holidays, “are you making Jewish memories”? 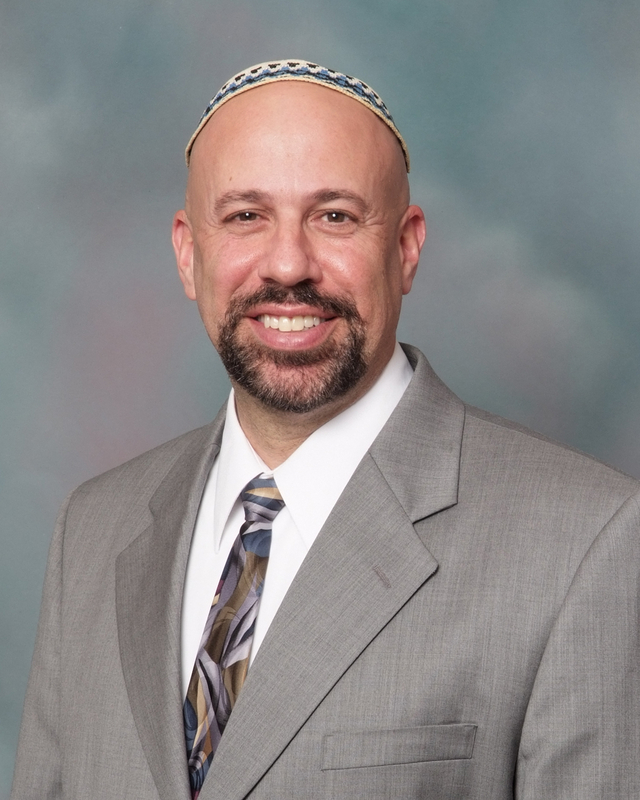 As a parent of three young adults, I am aware that it is not always so easy to always raise our children “Jewishly”, to give them a sense of Jewish pride and identity, particularly as Reform Jews who are being raised in a mostly secular environment. But we have to begin somewhere, and we do: with the celebration at a Brit Milah or a baby naming; with attendance at Religious School; with becoming a Bar or Bat Mitzvah; and hopefully, with Confirmation. 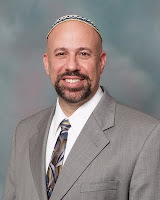 Maintaining a family affiliation with the synagogue after Bar or Bat Mitzvah is also crucial; it demonstrates a commitment to Judaism long after the celebrations. So it’s not so easy to make all this happen, but there is help along the way if you need it: be it emotional, spiritual, financial, or otherwise. And for many of our interfaith families, it is even more crucial that they be given the resources and guidance they need to make sure that the partners who were not born Jewish, but either are Jews by choice or have chosen Judaism for their children, feel welcome in the community, and their children feel secure in their Jewish identity. We need to ask our young people what their positive Jewish memories are, both in and out of the synagogue. With this knowledge, one would hope that a greater percentage of our high school seniors will move on to universities and associate with Jewish organizations such as Hillel and/or Jewish-based fraternities and sororities. That on a spring break, a greater percentage will take advantage of a Birthright Israel program. And yes, that they will eventually choose a lifestyle informed by their own childhood Jewish memories, a life where they will create new memories for the next generation. The new leader of the Reform movement, Rabbi Richard Jacobs said, “We should not be talking about the unaffiliated; we should talk about uninspiring congregations. We need to look at what’s inspiring people.” Clearly, we need to hear from you. It is up to each and every one of us, our members and friends of our Jewish community, to be of help, to feel comfortable seeking help. As parents, grandparents and guardians of Jewish children, it’s the connection to our Jewish heritage that we presently share that will make it happen. It’s all about the kinderlech.